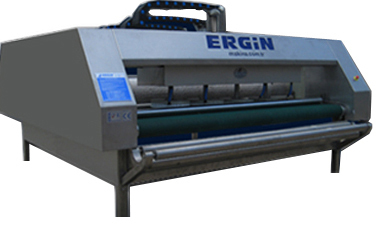 As we are, Ergin Carpet Washing Machines, we produced ER 6000, inspired from ER 3000 Carpet Washing Machine. ER 6000 is superior model of ER 3000. We installed ER 6000 4 disc brushes, same with our brushes used in carpet preparation machine. These brushes work for shampoo and scrubbing.ER 6000 has cylinder brushes as well. The leader of carpet washing machine production, Ergin Makina has ISO 9001 certificate, uses stainless steel as main material of machines and uses German - Turkish first class motor parts. Our carpet washing machines and carpet drying machines have 2 years of warranty. Installion and education of our machines are free.